on the 1st Wednesday of every month. Lisa was born and raised in Columbus, Ohio. 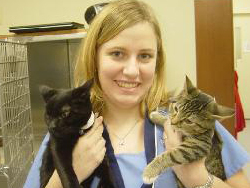 She attended Purdue University (1998-2002) for her Bachelor's degree in Veterinary Technology. 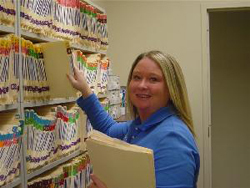 Lisa started working for Avery Animal Hospital in February 2002, and currently lives in Galloway, Ohio with her husband Tom and their son Owen. The Flanagans have a tuxedo cat named Gus. Amanda (Mandy) was born and raised in Wapakoneta, Ohio and graduated from The Ohio State University in 1998 with a Bachelor's degree in Criminology. In 2002 she decided to go back to school. 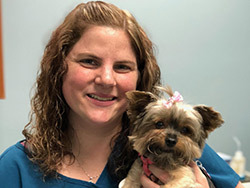 Mandy graduated with honors from Columbus State Community College in 2004 with an Associates degree of Applied Science in Veterinary Technology. 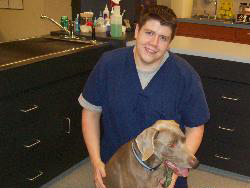 She started with Avery Animal Hospital as an intern in 2003, and never left! Mandy and her husband Jason live in Delaware, OH with their 2 daughters Addison and Chloe, their kitty Sven, dog Sylvester and dog Comet. Laura White was born and raised in Berea, Ohio. She received her Associates of Applied Science in Veterinary Technology degree from Columbus State Community College. 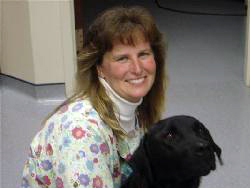 Laura started working for Avery Animal Hospital in 1991 as a Veterinary Technician. In 2012 she became the Practice Manager. Laura resides in Powell, Ohio with her 4 children Tyler, Mikala, Amanda and Maddie, 2 dogs Carly and Maggie, 1 cat Leo and Lilly the Guinea Pig. 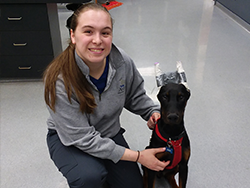 Alana graduated from Morehead State University where she received her Associates of Applied Science Degree in Veterinary Technology. 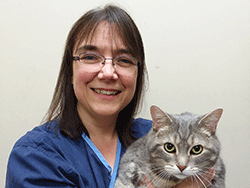 She joined Avery Animal Hospital in January of 2000. Alana lives in South Charleston with her husband Steve and daughters Cora and Becca. They currently have two dogs. Gretchen, graduated from Muskingum University in 1998 with a B.S. in Psychology. 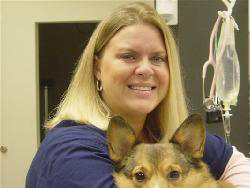 In 2008, Gretchen graduated from Columbus State Community College with an Associates of Applied Science, specializing in Veterinary Technology. In 2015, she graduated from the Karen Pryor Academy’s Dog Trainer Professional course and is a KPA Certified Training Partner. 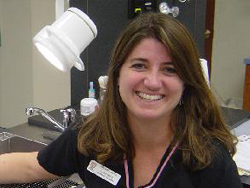 She works with Dr. Vesper on our behvior cases and is now offering dog training at Avery Animal Hospital as well. Gretchen lives in Hilliard with her husband, two children, two dogs and cat. Laura was born in Cincinnati, Ohio and raised in Sandusky, Ohio. 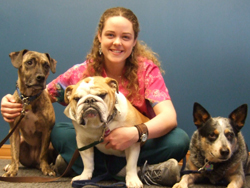 She attended Columbus State Community College for her degree in Veterinary Science. 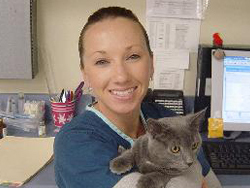 She started working at Avery Animal Hospital in September of 2010. She currently resides in Grandview, Ohio and has an American Staffordshire (crazy) Terrier named Rico. 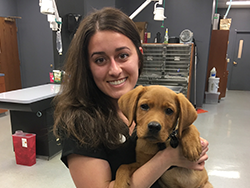 Megan is a Registered Veterinary Technician and received an Associate's Degree in Veterinary Technology from Columbus State Community College. 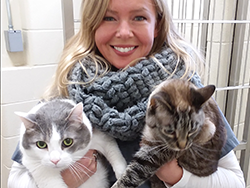 Prior to pursuing her passion for animal care, Megan graduated from The Ohio State University, where she earned a Bachelor's degree of Science in Industrial Design. 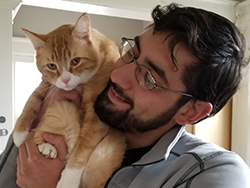 Megan resides in Grandview Heights, Ohio with her husband Mike, her daughters Maddie and Claire, Henry the dog and a clowder of cats. Meagan Burwell was born in Columbus Ohio and raised in Cable Ohio. 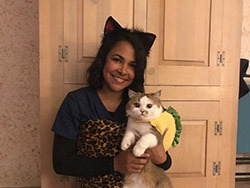 She graduated from Columbus State Community College with an Associates Degree of Applied Science in Veterinary Technology, and began working at Avery Animal Hospital in July of 2017. Meagan now lives in Mechanicsburg and enjoys life with her husband Jeshua. Kristen was born and raised in Columbus, Ohio. 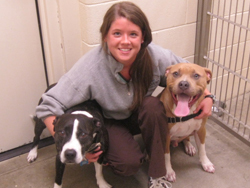 She attended OSU for her bachelor's degree in Zoology (graduated Dec. 2012). Then she decided to pursue an Associates degree in Veterinary Technology and graduated from Columbus State Community College, May 2017. 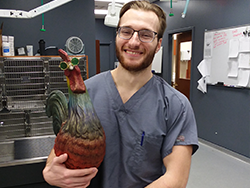 She became a registered Vet Tech in July 2017. Kristen currently lives in Columbus with her husband Tim and their son Camden. They have 2 dogs, Remy (border Collie mix) and Farley ( husky mix). She joined Avery team November 2017. 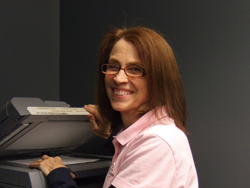 Julie was born and raised in Beavercreek, Ohio. 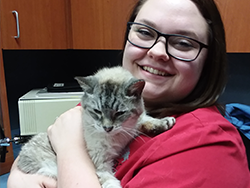 She moved to Columbus to attend Columbus State Community College for her Associate's Degree in Veterinary Technology. She joined the Avery team August 2018 and has two little white fluffy dogs. Trish Collins was raised in Upper Arlington, Ohio and graduated from Boarding School near Boston, MA in 1996. 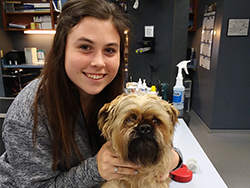 She continued her education by studying Massage Therapy at The American Institute of Alternative Medicine in Columbus, Ohio and Canine Massage Therapy in Toledo, Ohio. 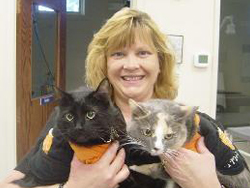 Trish began working at Avery animal Hospital in August of 2005. She lives in Hilliard, Ohio with her partner Rusty and their 3 children. 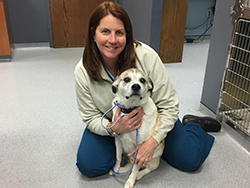 Trish loves working and helping each and every one of the clients at Avery Animal Hospital. Carey is a Nebraska native who graduated from Iowa State University. 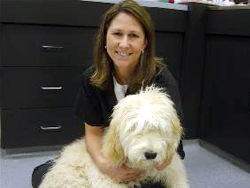 She joined the staff of Avery Animal Hospital in 2001. Carey lives near Gambier with her fiance, Mike and their groundhog-cathcing golden doodles Knudsen and Indy. She enjoys spending time with her 4 children and their families, including 9 grandchildren.